Xiaomi redmi 5A smartphone ko August 2017 ko launch kiye Gaye Hai. Yeah phone 5.5 inches ke display ke saath Aaye Hai. Xiaomi redmi 5A quad core Snapdragon 425 processor per kaam Karte Hai. Phone mein 16GB internal storage Hai Jo micro SD ke saath 128 GB kiye ja shakta Hain. Xiaomi redmi note 5A mein 16 MP camera Hai aur front mein 5MP selfie camera Hai. Xiaomi redmi note 5A Android 7.0 aur yeah 3080 mAh battery lagi Hai. Xiaomi redmi note 5A Dual sim Hai Jo nano sim connectivity karti Hain. Yeah phone mein wifi, GPS, Bluetooth feature Hai. Yeah Phone India ke market mein 5th October 2017 ko launch ho Jaye gaye. Phone ke price Rs.12,000 ho shakti Hai. 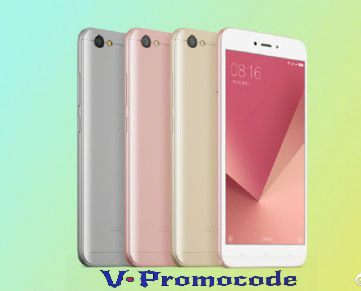 Xiaomi redmi note 5A Phone Specification. Xiaomi eek private company Hai Jo smartphone, electronics designs ko Sall karti Hai. Xiaomi Smartphone, tvs, air purifier aur tablet baanti Hai. Xiaomi Smartphone India mein flash sale ke largely Sall karti Hain.